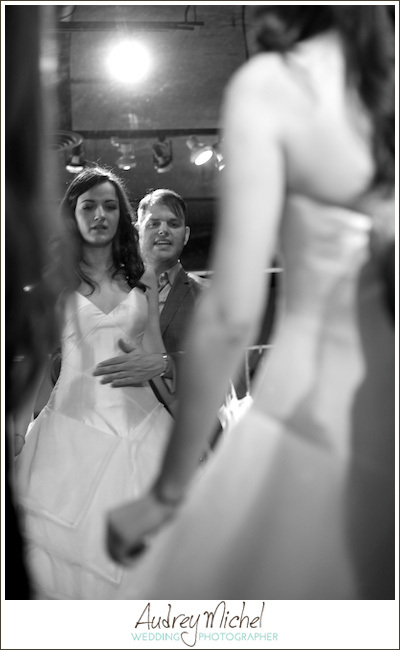 I jumped at the opportunity to be at Little White Dress last Friday morning as wedding gown designer Matthew Christopher conducted a training session for the sales staff and prepared for the weekend’s trunk show. These last few months have been about partnering with Grace Ormonde Wedding Style Magazine to show the world that Colorado not only has style, but is on the cutting edge of what is happening in the wedding industry. To hear that a prominent dress designer would be spending time in Denver was an exciting opportunity. I more than anything wanted to hear Matthew speak about his work. I love hearing designer’s passion for their work, and Matthew Christopher does not disappoint! 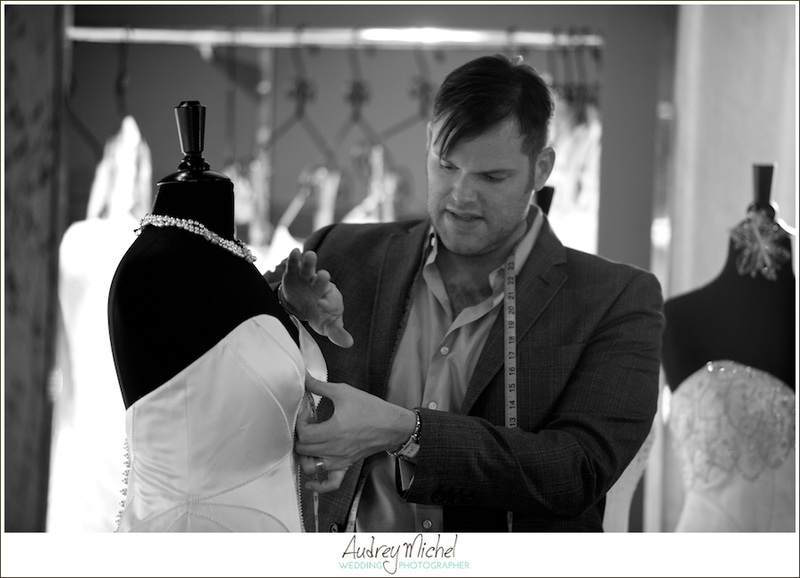 If you are someone who (or know of a person) that cannot understand why you would pay a premium for a dress when there are perfectly suitable and affordable options out there, listen to Matthew speak about creating his dresses. His passion for making a woman feel beautiful is contagious. 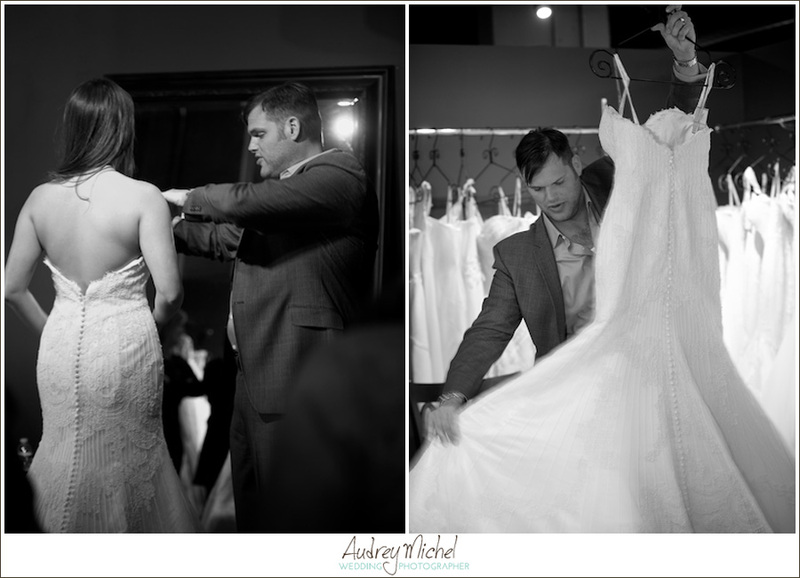 As if he didn’t have me at helping a woman feel beautiful on her wedding day, then he starts talking about the detailing of his dresses and how button location or stitching or lace placement can make or break the look of the dress. The designer in me was in the land of sunshine and happy faces! I think the wedding industry in Colorado has a unique opportunity to utilize the platform of Grace Ormonde to show that we not only have style, but are attracting attention from the best in the industry. And of course a big thank you to Rachael of Intricate Icings for designing a wedding cake after one of Matthew’s dresses! Stunning as always! Check out this post from Little White Dress!